Former Secretary of State John Kerry was on Capitol Hill Tuesday morning testifying in front of the House Oversight Committee about the "threat" of climate change. He presented the typical fear mongering argument about the world ending if we don't do "something" to stop it and advocated for massive government intervention to "fix" the problem. 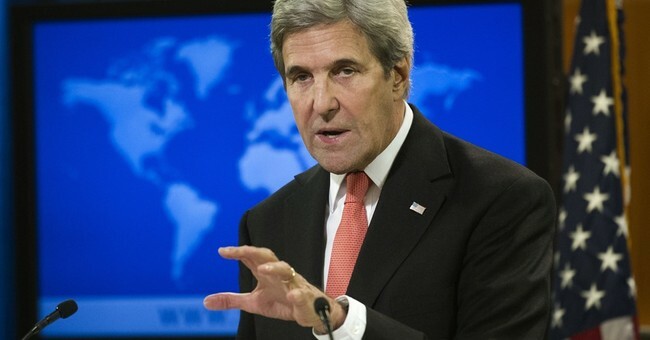 Notice how Kerry attempted to end the conversation by saying wasn't "serious." Massie simply pointed out CO2 levels were much higher before humans made their way onto the planet. A serious, relevant, historical scientific fact. Then, Massie went after Kerry's credentails on the issue. Massie also responds to worst case "if the climate alarmists are wrong." Notes problems like energy cost hikes and "losing focus on real pollution and real problems that we have to solve" like storing nuclear waste.